Matt Sichterman became the ninth known commit of the 2017 recruiting class on Sunday, May 15. 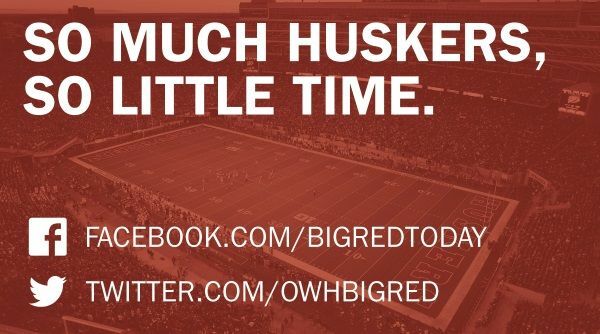 He announced his commitment to the Huskers on Twitter. "I have decided that the best school to develop me as an athlete, student, and man is the University of Nebraska," Sichterman posted. Sichterman, who received an offer from the Huskers on Feb. 22, 2016, became the second offensive lineman in the class, joining Texas tackle Brenden Jaimes. The 6-foot-5, 265-pound prospect visited Lincoln the weekend of May 13, following visits to several Big Ten schools this spring, including Northwestern, Penn State, Michigan State, Illinois and Indiana. On May 5, the Huskers sent a coach to visit Sichterman's school during the spring evaluation period. Lined up at right tackle during his junior season, Sichterman helped Kings High School — located in in Kings Mills, Ohio, about 25 miles northwest of Cincinnati — to a 12-3 record in 2015. The Knights lost in the Division II regional final, a state quarterfinal matchup in Ohio's second largest class. Sichterman really blew up as a major college prospect around the start of 2016. He picked up his first offer at Christmas and by May had nearly three dozen, including one from each Power Five conference. He was named first-team All-Eastern Cincinnati Conference after his junior season and second team All-Southwest Ohio District. According to his highlights, he had 74 knockdowns during 10 regular season games in 2015. "He's got some length," said Husker Online's Nate Clouse during an appearance on "The Bottom Line." "He's got a lean build. A very athletic kid that could play right or left tackle, a very aggressive player." Sichterman comes from an athletic set of triplets, the oldest of the three by only minutes. His sister Megan, the youngest, is a state champion swimmer. The middle triplet, Dan, also plays football and was an All-ECC defensive end who committed to Ball State on August 8. Their father was an offensive lineman at Drake University, and their mother swam at Clemson. Sichterman is the first member of the class from Ohio. Previously, the most recent commit from the state was cornerback Tony Butler (2016); prior to that, NU signed three from the Buckeye State in 2013. Sichterman's role now shifts to recruiter, and took his official visit to Nebraska for the Oregon game on Sept. 17 where he was on campus with several other highly-rated targets. After his visit, Sichterman tweeted, "Couldn't ask for a better official visit weekend! Nebraska just gets better and better!" Mike Cavanaugh made an in-home visit with Sichterman and his family on Nov. 30.